Explicit Conscious Cafe discusses the stigma of the "Angry Black Man"
Explicit Conscious Cafe discuss social media, dating, and The Black Spiderman takes a hater down. Conscious Cafe - Discusses Tupac, Top 5 rappers, and Mental Health. Conscious Cafe is a show were we discuss Hip Hop music. Music that embodies the art of "Beats, Rhymes, and Life". We talk about old school classics and new music. If you love bars, lyrics, and the art of MC'ing you will love Conscious Cafe. Tune in as we celebrate and discuss good music. 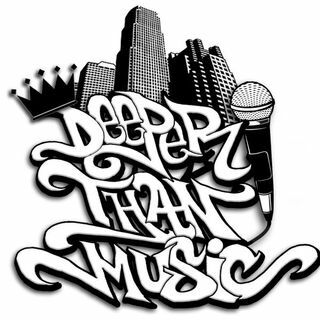 Deeper Than Music Radio is hosted by founder music producer and recording artist Markivus “Furyus” Nious. The shows platform is a talk radio program offering insight into the story behind artists and personalities and what inspires them as artists. Guest featured includes international recording artists, songwriters, actors and ... See More producers.